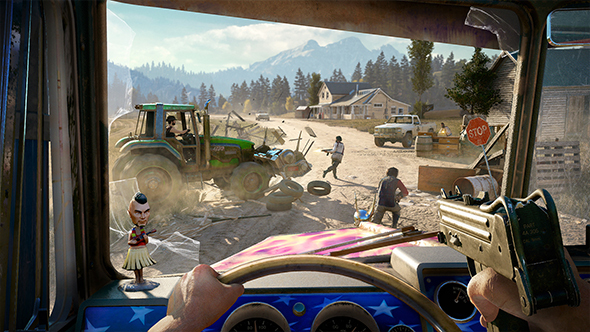 Far Cry 5 is out pretty soon, and you know what the release of a major new AAA PC game means – it’s time to start nervously sweating about how well you’ll be able to run it. Luckily, Ubisoft have provided all the system requirements for the game across four different types of configurations. Find out everything we know about Far Cry 5 here. The game will feature “myriad visual options, including variant aspect ratio support, FOV adjustment, optional FPS locking, and resolution scaling.” You’ll also have access to a benchmark feature to put all those setting to the test. Ubisoft have confirmed the game will support multiple GPUs, and apparently you’ll need them if you want to have a go at 4K/60fps experience.